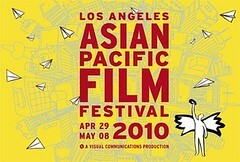 Join over 200 industry professional, filmmakers, celebrities and television network producers at the 26th Annual Los Angeles Asian Pacific Film Festival from April 29 to May 8. The festival, with locations in West Hollywood and downtown, will showcase new Asian American and International Asian cinema with more than 150 films and videos from over 20 countries. Restrictions: Excludes opening and closing night galas and special events. Offer does not apply to on-line purchases. How to get it: Show your valid Metro pass, Metro Rail ticket or TAP card at any Film Festival Box Office. There’s never been a better time to experience CHICAGO, Broadway’s razzle-dazzle smash. This triumphant hit musical is the recipient of six Tony Awards, two Olivier Awards, a Grammy and thousands of standing ovations. Restrictions: Valid for Tuesday, Wednesday & Thursday evening performances. Excludes Center Orch A-Z. Subject to availability. May not be combined with any other offer. All phone orders incur customary Ticketmaster convenience charges. How to get it: Order your tickets online at BroadwayLA.org/Metro, by phone at 1.800.982.2787 (ARTS), or visit the Pantages Theatre Box Office. 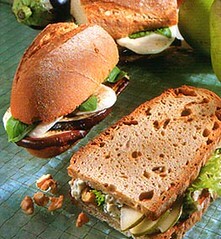 Use code 20MET when ordering. Where: Pantages Theatre, 6233 Hollywood Blvd. 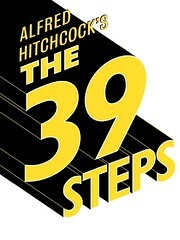 Mix an Alfred Hitchcock movie with a spy novel, add a dash of Monty Python and you have Alfred Hitchcock’s The 39 Steps, one of Broadway’s most intriguing, thrilling and “unmissable” comedy productions. Restrictions: Valid for Tuesday, Wednesday, Thursday and Friday evening performances. Subject to availability. Offer valid on rear orchestra and mezzanine seats. Not valid on previously purchased tickets. How to get it: Show your valid Metro pass, Metro Rail ticket or TAP card at the Ahmanson Theatre Box Office, or buy tickets by phone at 213.972.4400 or online at CenterTheatreGroup.org and use the promotional code METRO. 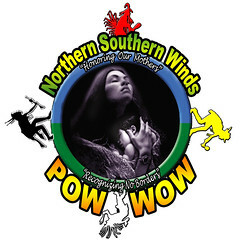 Where: Ahmanson Theatre, 135 N. Grand Ave.
Pow Wow celebrates the wonderfully rich and diverse cultures of First People Nations living in Southern California. By way of competition and exhibition dancing and singing, Indigenous cultures through out North & South America will be represented. How to get it: Show your valid Metro pass, Metro Rail ticket or TAP card at the event. Where: Los Angeles Historic State Park, 1245 N. Spring St. Located in the heart of the Arts District in Downtown L.A., Cafe Metropol is an authentic European bistro featuring gourmet food, coffee and drinks. There are also live music performances every Friday and Saturday. How to get it: Show your valid Metro pass, Metro Rail ticket or TAP card to cashier.